Last Week: Close – Friday and Saturday went as predicted, but Sunday was a little less than what I thought it would be. Yes there was some wind, but it was pretty light. Today: A NW thermal is developing from Muskegon to Grand Haven. Should be in the 15 to 20 knot range by late afternoon. Saturday: The northern half of the lakeshore looks like it should be windy from late morning through the afternoon. The wind will be out of the south to the southwest. 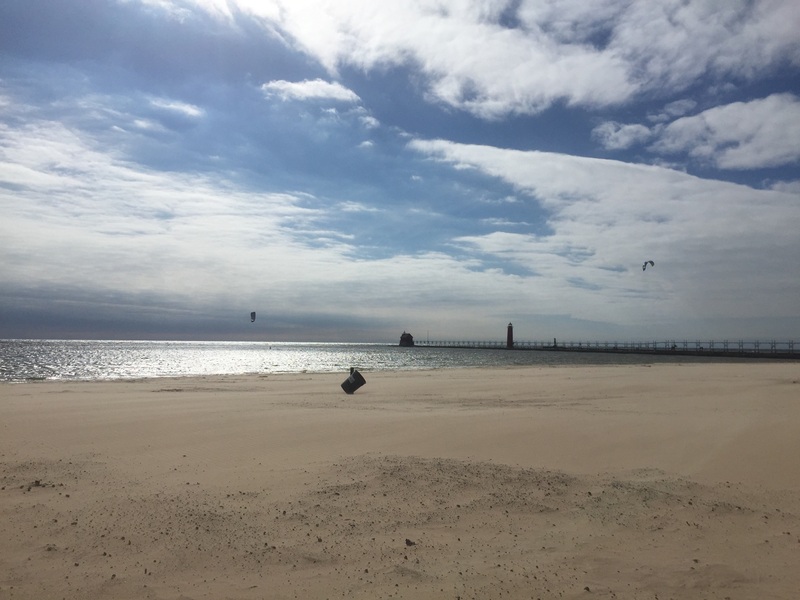 Little Sable Point, Ludington State Park, Frankfort and Pt Betsie will be the best spots with Pt Betsie being the windiest blowing up to 30 knots. If the wind gets SW enough, Manistee 5th ave beach could be good as well. Sunday: Not much brewing on Sunday as of now. A light wind out of the SE is all that is forecast. Memorial Day: Lots of rain is forecast for Memorial day, but it is also forecast to be windy. A good south wind for the lower half of the lakeshore in the 20 knot range. It’s just going to be a matter of watching the radar and looking for breaks in the heavy stuff to get out. The Frankfort surf cam has been down for awhile, but it is now back up! Overall, should be a great weekend! Last Sunday I got blown off with a 7 m. Where did you guys ride? Only place I was able to go was in Manistee. Extremely gusty and variable side off wind so my kite wouldn’t stay up for long. I never got on the water. Where did u go Mary?